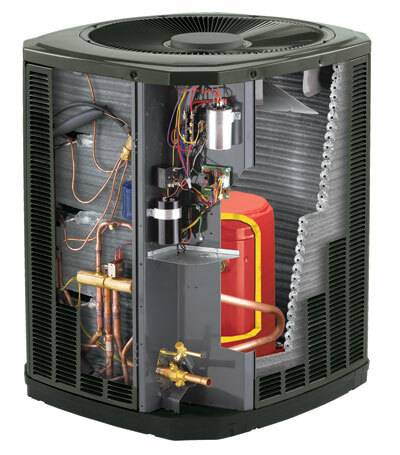 Whether you are looking to replace your current heat pump or to install one in your home for the first time, it is recommended that you research the different heat pump types in order to ensure that you purchase the right type for your purposes. There are many brands and various types of heat pumps on the market, and your first consideration should not be the price or installation price of the unit, as there are many other factors to bear in mind. Heat pumps offer an energy-efficient alternative to air conditioners and furnaces for those who live in areas where the climate is moderate. Heat pumps work similarly to refrigerators, wherein they transfer heat from a cool space into a warm space and vice versa. Heat pumps move heat from the cool outdoors into your warm house during the winter months, and from your house into the outdoors in the summer. The various heat pump types save on energy because unlike furnaces, they do not need to generate heat but just move it around, which provides up to four times the amount of energy that they consume. 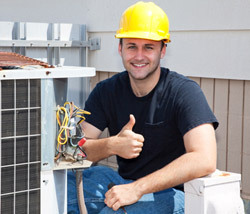 Heat pumps are therefore also more cost-efficient than furnaces. Heat pump types can be divided into basic types according to the source and destination of the heat that they transfer and the method that the pump uses to absorb or reject the heat in each location. Heat pumps basically use a variety of methods to transfer the heat, such as water, or a glycol mixture or air; some heat exchangers use a combination of the two. The air-source heat pump, which transfers heat between the outside and your house, is the most common of the heat pump types in use. Most central air-source heat pumps are split-system pumps, which means that they have one coil indoors and one outdoors, and supply and return ducts are connected to a central fan, located outdoors. 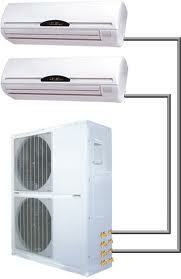 Some air-source heat pumps are a packaged system, which means that both the coils and the fan are outdoors. In these systems the cooled or heated air is delivered indoors by means of ductwork that protrudes through a wall or the roof. This type of heat pump works by evaporating a refrigerant in the indoor coil which then pulls heat from the air in the house as the liquid evaporates, via an outside coil. The compressor and the expansion valve cause pressure changes which allow the gas to evaporate at a lower temperature indoors and condense at a high temperature outside. Air-source heat pumps are very popular in warm climes, as they are one-and-a-half to three times more efficient and can therefore save you between 30%-40% on your energy bill. High-efficiency air-source heat pumps are known to dehumidify better than standard central air conditioners, which results in better cooling and comfort in the long hot summer months and a huge savings in energy use. Although they are used all over the United States, standard air-source heat pumps do not work as efficiently over extended periods of sub-freezing temperatures, and are therefore not recommended for those areas that experience extreme cold weather for long periods at a time. There are currently various systems that can overcome this problem, such as the air-source heat pump called a “reverse cycle chiller” which generates hot and cold water, which can be used with radiant floor heating systems in heating mode. There are also systems which utilize gas heating as a backup, and a “Cold Climate Heat Pump” which is still being perfected. These heat pump types transfer heat between your house and a nearby water source or the ground, and achieve higher efficiencies. They have been in use since the late 1940s, and are also referred to as earth-coupled, geo-exchange, or geothermal heat pumps. GHPs make the constant use of the earth’s constant temperature as the exchange medium instead of the constant-changing outside air temperature uses in air-source heat pumps. Whereas the efficiencies of air-source heat pumps on cool days can reach between 175%-250%, geothermal pumps can reach 300%-600% on really cold winter nights. The success of geothermal heat pumps rests on the fact that even though the air temperature can reach seasonal extremes of scorching heat and freezing sub-zero cold, the temperature of the ground a few feet below the surface remains relatively constant. Ground temperatures generally range from 45°F (7°C) to 75°F (21°C), depending on the latitude, which means that the ground temperature is cooler than the air above it during the summer and warmer than the air in the winter. Geothermal heat-pumps can, like all heat pumps, cool, heat and even supply hot water if equipped to do so. There are various models of geothermal heat pump types, such as those that have two-speed compressors and variable fans, which offer energy savings and more comfort. These pumps are generally last longer, and are quieter than air-source heat pumps, and they require minimal maintenance. Dual-source heat pumps combine the best of air-source and geothermal heat pumps, and have a higher efficiency than air-source units, but are less efficient than geothermal pumps. The installation of geothermal heat-pumps is rather more expensive than similar air-source systems, but the additional costs will be recovered in energy savings over a period of five to ten years, and the lifespan of geothermal units is around 25 years for the inside components and 50 plus years for the ground loop. Dual-source systems cost less and work almost as well as their geothermal counterparts. 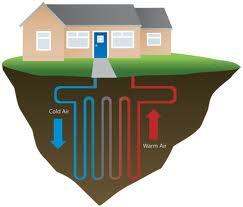 Geothermal heat-pumps have four basic types of ground loop systems. The horizontal, vertical, and pond/lake systems are closed-loop systems, whilst the fourth is an open-loop option. The system that will work best for you depends on local installation costs, soil conditions, available land, and the climate in your region. All four types can be used for either commercial or residential use. 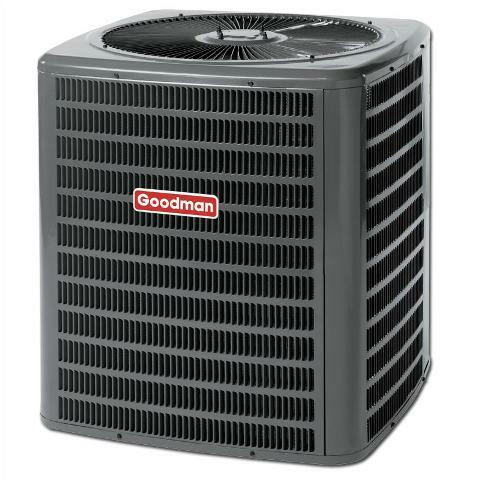 The absorption heat pump is one of the newer heat pump types for larger residential systems of 4,000 square feet or more. 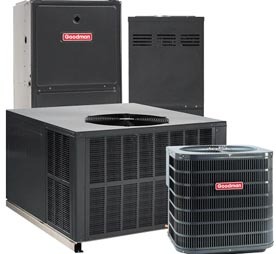 Absorption heat pumps are air-source heat pumps that are driven by a heat source such as solar-heated water, geothermal-heated water, propane, or natural gas. 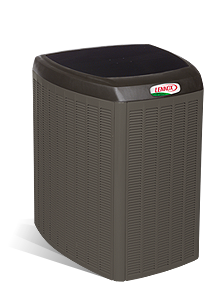 They are also often referred to as gas-fired heat pumps because natural gas is the most common heat source utilized. These residential heat pumps use an ammonia-water absorption cycle to provide heating and cooling. The ammonia is used as the refrigerant, and is condensed in one coil to release heat; the pressure is reduced and the refrigerant is evaporated to absorb heat. This heat is then released into the interior of your home to provide heating. If the pump absorbs heat from inside your home, it releases cooling back into the interior. Absorption heat pumps work differently to other heat pump types because they do not use compressors to pump up the pressure of the ammonia but absorb it into water, where after a relatively low-power pump pumps the solution up to a higher pressure. The heat boils the ammonia out of the water and the cycle is restarted. Generator absorber heat exchanger technology, or GAX, is a key component in the newer units, as it boosts the efficiency of the units by recovering the heat released by the ammonia’s absorption into the water. Variable ammonia flow rates, high-efficiency vapor separation, variable-capacity combustion of the natural gas and high-efficiency vapor separation are amongst the other innovations in these units. When researching heat pumps, it is important that you check their efficiency and suitability for your personal use, and this can be done by comparing their cooling and heating efficiency and their energy star rating. Cooling Efficiency – The US Department of Energy rates a heat pump’s cooling efficiency by its seasonal energy efficiency ratio or SEER. Heat pumps manufactures in the 1970s had SEER ratings of 6, but these days this rating has improved to high efficiencies of between 14 and 18. Heating Efficiency – The heating seasonal performance factor or HSPF rates the compressor efficiency of a heat pump and its electric-resistance elements. The highest rated heat pumps have an HSPF of between 8 and 10, according to the Department of Energy. 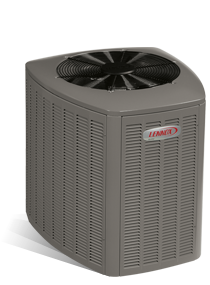 Energy Star – As of 2011, the Federal Government provides a tax credit of up to 30% of the installation cost of new heat pumps that have an Energy Star rating. Energy Star rated heat pumps are approximately 9% more efficient than standard models and, according to the U.S. Environmental Protection Agency, can be as much as 20% more efficient than the old heat pumps that many homeowners have. In order to save you on energy costs over the long run, do your research and comparisons before you go out and buy a heat pump. This way you can easily check which heat pump types would work best for your climate, and can ascertain the SEER, HSPF and Energy Star ratings for various heat pumps before deciding on which type of heat pump to purchase for your home. Previous Article How Does A Heat Pump Really Work?